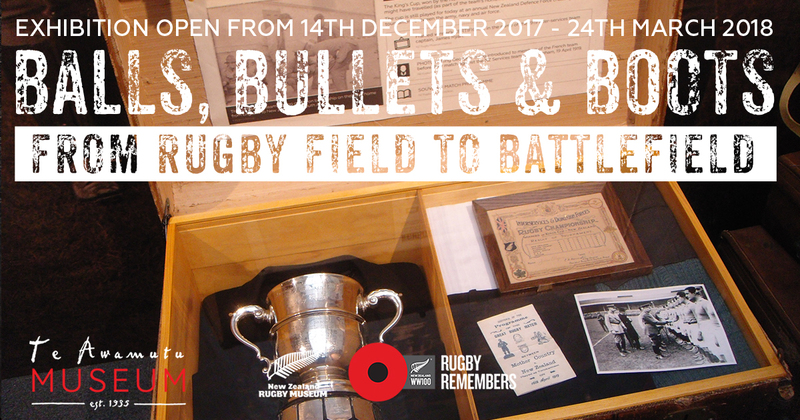 Te Awamutu Museum is proud to present a touring exhibition from the New Zealand Rugby Museum, Balls, Bullets & Boots. 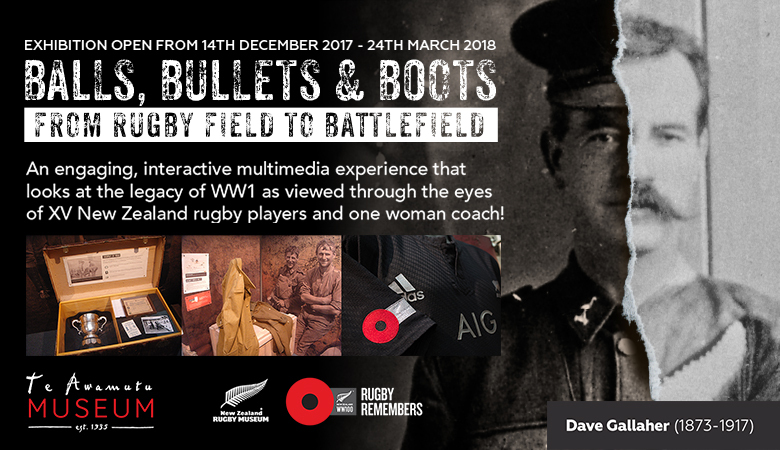 An engaging, interactive multimedia experience that looks at the legacy of WW1, viewed through the eyes of 15 New Zealand rugby players and 1 female coach! Don’t miss this incredible exhibition, it is only here for a limited time.